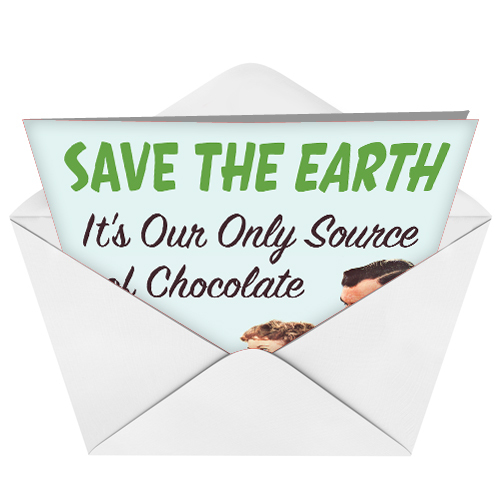 Cover Reads: Save The Earth, It's Our Only Source Of Chocolate. 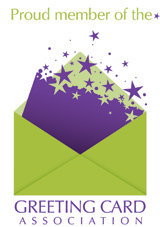 Inside Reads: Dig In. It's Your Birthday! Here's to your birthday, and another occasion to devour chocolate. It's been called the "food of life!" Well, for some of us, anyway. And YES! 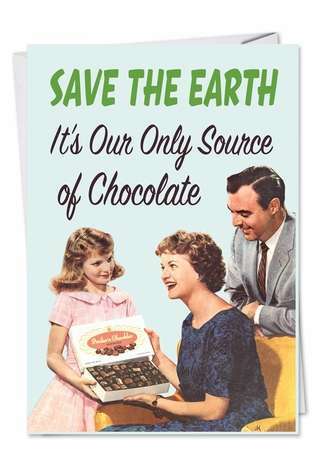 We MUST Save the Earth, if for nothing more than that yummy, sweet stuff! Funny card to send to my friend who are always watching their weight. So true!